Were Iraq and the United States acting rationally in the lead up to war in 2003? David A. Lake answers this question with a qualified ‘yes’ in “Two Cheers for Bargaining Theory: Assessing Rationalist Explanations of the Iraq War,” published in the Winter 2010/2011 International Security. 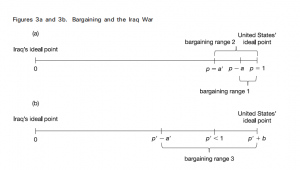 Lake analyzes the outbreak of war between the United States and Iraq through Fearon’s bargaining model. Of rationalist explanations for war, bargaining theory is undoubtedly the most fashionable. Honing in on the inherently strategic nature of war, it forces analysts to probe why states would choose the inefficient mechanism of war to solve their disputes. The lead up to and outbreak of war between the United States and Iraq, however, poses a significant challenge to the theory. Lake highlights four major shortcomings of the theory: first, the model assumes states are unitary actors. This was clearly not the case, as oil companies and the military industrial complex changed the rational calculations of the Bush administration, “increase[ing] the belligerency of the US” and making a peaceful resolution with Iraq more difficult to achieve. Second, bargaining theory works as a two-player game, but multiple actors factored into the US decision to invade in 2003. This complication, Lake argues, magnified the problems of asymmetric information and costly signaling so central to bargaining theory. 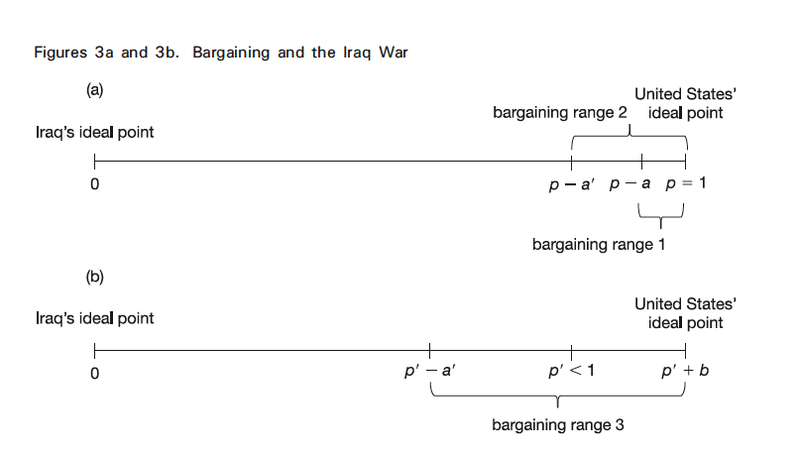 Third, bargaining theory tends to focus on the bargaining process leading up to war, but concludes its analysis once an agreement ending hostilities is achieved. Yet hostilities continued long after the flying of the “mission accomplished” banner. Lake argues that bargaining models should be nuanced enough to include rational calculations of the costs of post-war peace, especially in light of the massive costs to the US government in post-war reconstruction. Finally, and this is perhaps Lake’s most fundamental contribution, bargaining theory assumes that states act rationally. 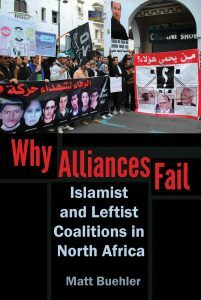 The author suggests that both Iraq and the US acted only minimally rationally in the lead up to war; there were key information failures that were “rooted in cognitive biases in decision making, not intentional misrepresentations by the opponent.” If the US and Iraq were caught up in self-delusions, biased decision-making, and failures to update prior beliefs, then their actions are inconsistent with the assumption that actors will seek out and make use of all available information. This crucial shortcoming in bargaining theory is the basis for Lake’s proposal to infuse bargaining models with behavioral approaches. Theories of misperception that focus on how individuals (and states) actually think are complementary to bargaining theory. The two in tandem can help analysts better grasp the outbreak of war in 2003. Download “Two Cheers for Bargaining Theory: Assessing Rationalist Explanations of the Iraq War” from International Security if your university has access here or email info@pomeps.org for assistance.